A sea of candy, bizarrely earmarked for cattle feed, has blanketed a Wisconsin highway, shocking commuters and raising fears about the type of products being added to the human food chain. 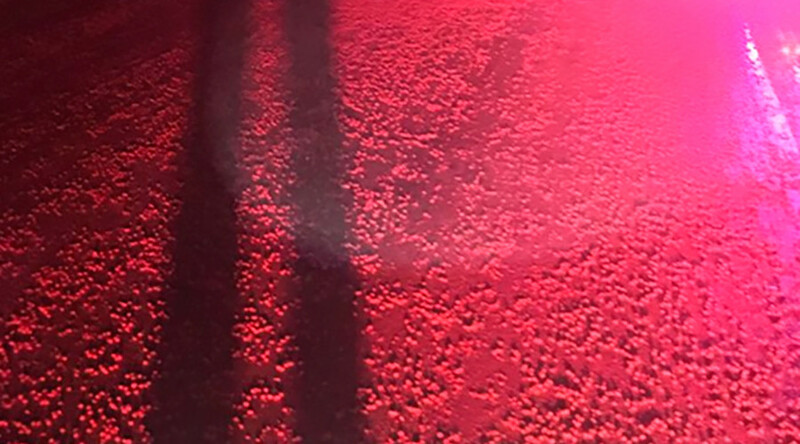 Hundreds of thousands of Skittles from a defective batch of the popular candy spilled from a transport truck and onto the highway in southern Wisconsin, according to local police sources who posted the strange sight to its Facebook page. Apparently, the shower of Skittles spilled from the back of a flatbed truck, where they had been stored in a box that began to disintegrate after it got wet in the rain. A local commenter said they could smell strawberry in the air. “While we don't know who did this, it’s certainly clear that it may be difficult to ‘Taste the Rainbow’ in it's entirety with one color that likely fell off the truck,” police said.